Bell is the first wireless carrier in Canada to support Apple Watch Series 3 cellular models, as their logo was shown on stage at Apple’s special event today. Telus will be the second coming soon, while Rogers was not mentioned at all. How will your Apple Watch Series 3 cellular work with Bell? For starters, Apple Watch will be the first wearable device in the country to use advanced Voice over LTE (VoLTE). Bell’s new feature called NumberShare will link your iPhone number with your cellular Apple Watch, allowing voice, text and data from a customers smartphone plan. The company filed for the trademark back in May of this year. Now we know it was intended for Apple Watch Series 3 cellular models. 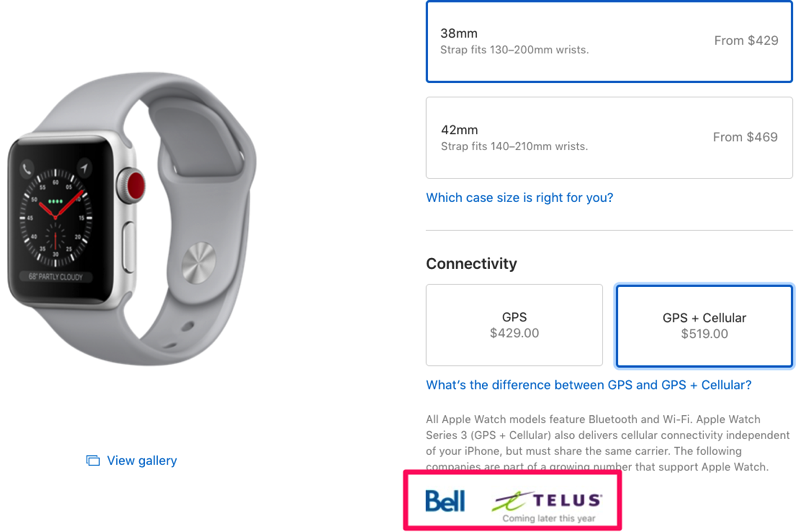 What is Bell’s pricing to add your Apple Watch cellular to your existing smartphone plan? It will cost $5 per month on a new Smartwatch Plan add-on (Includes NumberShare), while a promotion will offer customers who activate an Apple Watch the first three months free. Bell has turned on remote provisioning support for eSIM technology, which has enabled the carrier to be part of the Apple Watch self-activation process when it comes to setting up a cellular plan. Apple Watch Series 3 pricing in Canada starts at $429 CAD, while cellular pricing starts at $519 CAD. 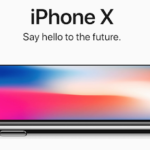 Telus—which shares a nationwide network with Bell—will support Apple Watch cellular users “later this year”, according to Apple’s website. Update: Since Bell does not support VoLTE in Manitoba and Saskatchewan, these provinces won’t get Apple Watch Series 3 cellular support. A $10 one-time connection charge applies on your first bill. A Smartwatch plan is activated directly from Apple Watch Series 3. Simply follow the on-screen instructions when you first pair Apple Watch Series 3 with your phone.